On Wednesday March 13 at the exhibition MITT 2019 (Moscow) Russian Travel Digest (RTD) met with Mrs. Vinita Rashinkar, the Director of BlueBrick Marketing & Communications. At the exhibition, Vinita Rashinkar represented Indian state of Madhya Pradesh. RTD has interviewed Madame Vinita to find out what attractiveness the central state of India may offers Russian tourists and why the state took a decision to enter on the Russian market. RTD - Mrs. Vinita, unfortunately, the Russian tourist, in general, knows relatively a little bit about tourist India – the beaches of Goa, New Delhi - the capital of the country, Agra - the pearl of world architecture, Hinduism, yoga. Here, perhaps, the entire list of places of interest. Tell us what kind of tourist product does Madhya Pradesh Tourism Board offer in general on the Russian market? Mrs. Vinita - Madhya Pradesht is a heart of India. The exotic land is an intoxicating mixture of rich history, vibrant sights, awe-spring art and pious shrines. 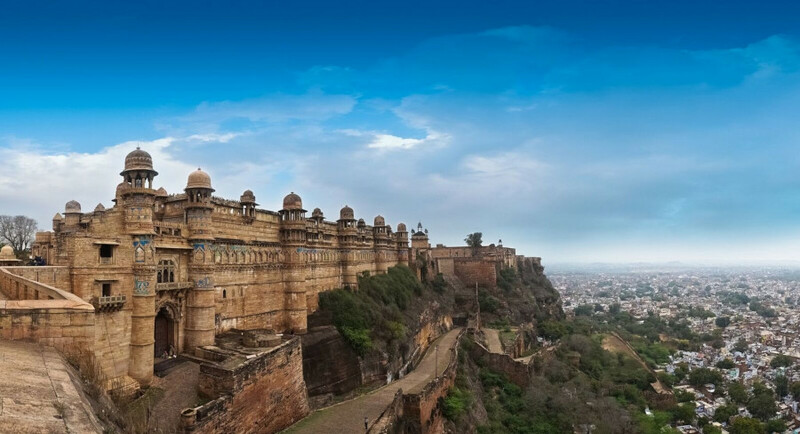 Madhya Pradesh is adorned with beautiful attractions. The state is the home to the cultural heritage of Hinduism, Buddhism, Jainism. For active travelers it would be interesting to visit innumerable monuments, exquisitely carved temples, stupas, forts and palaces which are dotted all over the state. Nature lovers can find a lot of breathtaking things in national parks, wildlife sanctuaries, tiger reserves, temples, lakes, and waterfalls. With the forest cover of 77,700 square kilometers area, Madhya Pradesh is deemed as number one in the country in terms of forest area. More than 80% of tourist footfall to the state is just because of nature and wildlife. There are around 9 national parks, 25 wildlife sanctuaries and 6 wildlife reserves in Madhya Pradesh. Madhya Pradesh has the third largest tiger population in India. Wildlife tourism is one such thing for which entire Madhya Pradesh is proud. Our state is famous for its the richest wildlife not only in India, but also beyond it. Madhya Pradesh is synonymous with eternal beauty and is a land of spiritual significance. RTD - Why do you think it all will be interesting for an ordinary Russian tourist? Mrs. Vinita - In the world there are not many places where nature has been preserved in its original form. The tropical animal and plant world, for example, in South Africa, Kenya is very rich. Our state has all the same, but only the way to reach us is much shorter and faster for Russian guests. There are many roads to us - you can fly by direct flight to Delhi airport or use connecting flights in Dubai or Doha. It’s much convenient. Moreover, of course, the historical affinity of our peoples and the wide interpenetration of cultures and traditions play a significant role. RTD - What kind of tourists, first of all, are you waiting for? Mrs. Vinita – Rest with us will be interesting for active travelers, young families, families with children, holidaymakers who are interested in the history and culture of our people and wildlife. We can offer a wide range of rest - relax, active, educational and sport. And for this purpose we can also offer hotels and apartments of different levels and stars. RTD - Is it safe to walk in the tiger reserves? Seeing a tiger or crocodile in a wild forest is a fascinating spectacle, but isn't it dangerous to be so close to them, especially for a child? Mrs. Vinita - We pay great attention to the security issues. An experienced guide is always with tourists during all the time of excursion, and it is strictly prohibited for everyone to leave a jeep. So there is no a little danger. RTD - Thank you for the interesting conversation. Mrs. Vinita - We are waiting for Russian tourists. We always welcome our guests.